Hello friends! I missed being here. How have you enjoyed the weekend? I take advantage to rest well, slept and relax with my boyfriend. Also I started to paint fabrics, for a series of new bags that I will incorporate soon! Another style, so that no one is left without their own! Now I wonder… Do you like the fluorescent colours? Do you dare to wear something of your outfit in an extremely showy color? Love your site! You’ve got great taste. 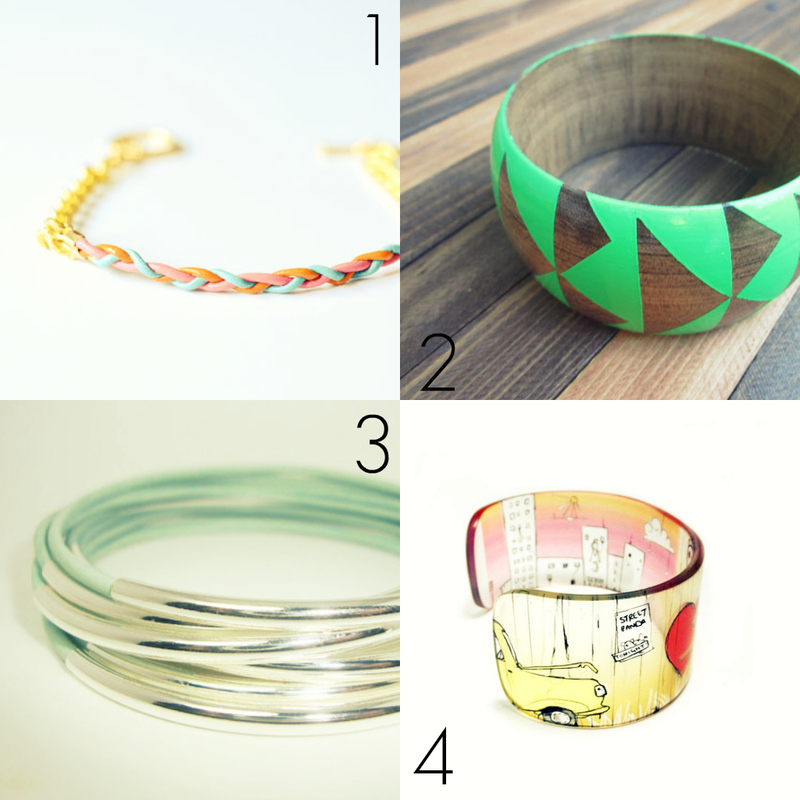 Thanks so much for featuring TINNLILY’s chain and leather bracelet! Thank you for stopping by here! Thanks girls for being so so sweet!